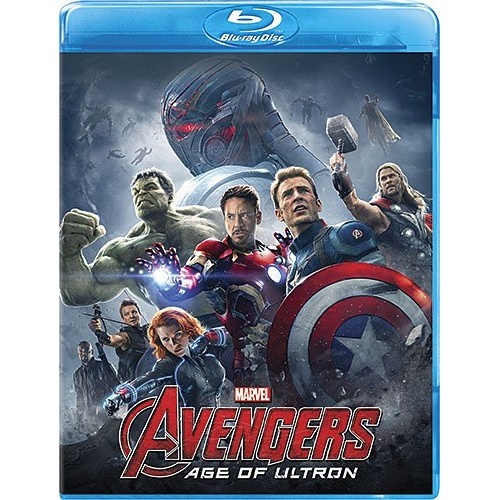 Marvel Studios unleashes the next global phenomenon in the Marvel Cinematic Universe -- Marvel's Avengers: Age Of Ultron. Good intentions wreak havoc when Tony Stark (Robert Downey Jr.) unwittingly creates Ultron (James Spader), a terrifying A.I. monster who vows to achieve "world peace" via mass extinction. Now Iron Man, Captain America (Chris Evans), Thor (Chris Hemsworth) and The Hulk (Mark Ruffalo) - alongside Black Widow (Scarlett Johansson), Hawkeye (Jeremy Renner) and Nick Fury (Samuel L. Jackson) - must reassemble to defeat Ultron and save mankind...if they can! 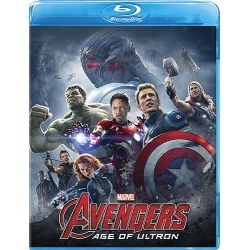 Featuring mysterious new characters (Vision, Scarlet Witch, Quicksilver), awesome special effects and an exclusive bonus feature, this action-packed adventure is a mind-blowing blast!